Rollup Standee are the best for advertisement. We can use standees for outdoor advertisement and indoor advertisement. We use Aluminum Pipe frame for Standees. 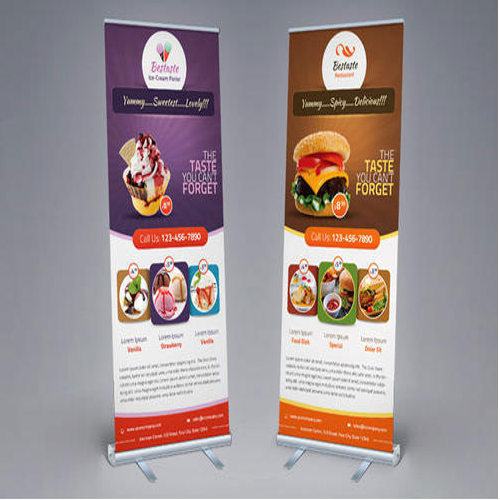 We, “Yashwant Arts” from 2002 are actively engaged in manufacturing a broad array of high-quality Digital Banners, Flex Hoarding, Frontlit Boards, Backlit Boards, Flex Printings, Vinyl Printings, Light Boards, M.S. Boards and Foam Sheet Boards. In our range, we are offering Digital Banners Design, Digital Banners Service, Flex Hoarding Service, Outdoor Hoarding Printing, Frontlit Boards, Frontlit Board Printing, Front Lit Board, Frontlit Board, Backlit Boards, Reverse Backlit Boards and Backlit Sign Boards. These offered assortments are made using quality tested components as per the well-defined industry norms.